As legislation and environmental awareness continues to pressure vehicle manufacturers to develop ever more fuel efficient and cleaner cars the complexity of engine management systems has increased. The level of electronic control of not only the engine but also other functions of the vehicle such as braking, steering, suspension, electronic stability control and other driver assistance systems is growing at an exponential rate. These advances are driven not only by tightening emissions legislation and safety regulations but also by driver expectations and market forces. All of the individual systems are then networked to provide an integrated electronics system that improves engine efficiency, driver / passenger safety and an improved driver experience. As a manufacturer of engine management components, Standard Motor Products is ideally placed to offer it's customers a proposition that is high in quality, broad in range and which represents excellent value. High energy coil on plug ignition coils, ignition modules, camshaft and crankshaft position sensors, Lambda sensors, exhaust gas recirculation (EGR) valves. Knock and throttle position sensors. Manifold absolute pressure (MAP) sensors, air mass meters, air and coolant temperature sensors, radiator fan and oil pressure switches together with a range of remanufactured engine control units (ECU's). 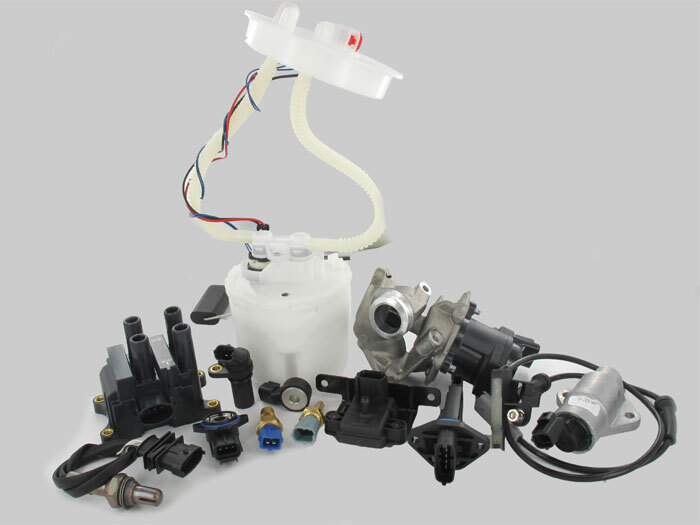 Add to this fuel injectors and fuel pumps and you can see the broad range of components that SMP can offer. With part numbers being constantly added to range, communication and cataloguing of these enhanced ranges is vital. The findapart electronic catalogue used by SMPE ensures that all customers have access to this updated information either through the catalogue on this website or through their third party e-cat providers who receive regular catalogue updates.